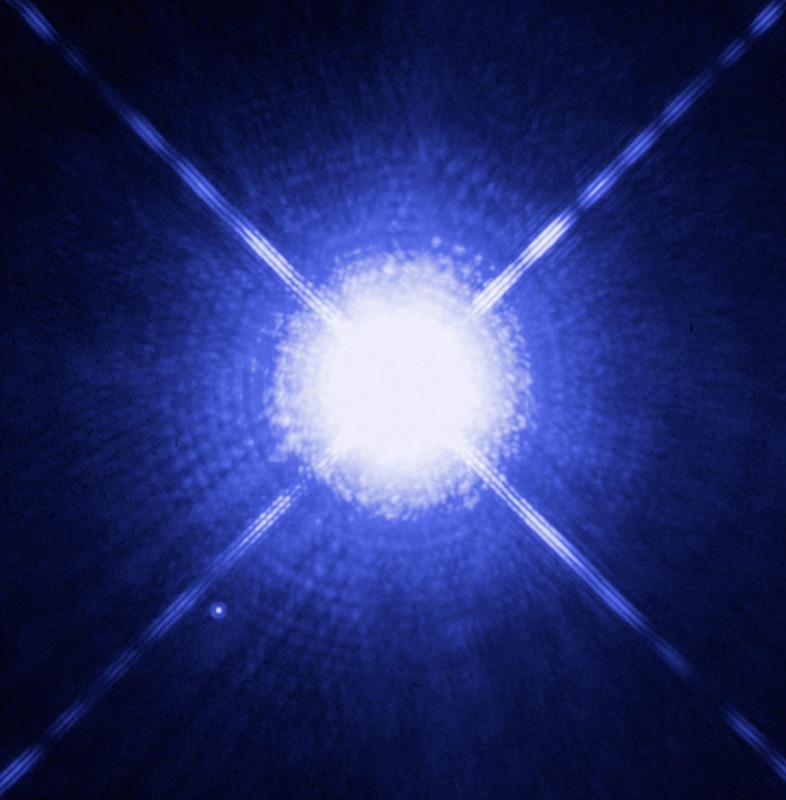 Researchers have discovered a white dwarf star with an atmosphere dominated by oxygen, a type of white dwarf that has been theorized to exist but not identified to date. The finding could challenge the textbook wisdom of single stellar evolution, and provide a critical link to some types of supernovae discovered over the past decade. As relatively small stars (those less than ten times the mass of our sun) near the end of their lives, they throw off their outer layers and become white dwarf stars, which are very dense. The high gravity that occurs under such density causes the lighter elements, such as hydrogen or helium, to float to the surface of the star, masking the heavier elements below. While combing through data from the Sloan Digital Sky Survey (SDSS), Souza Oliveira Kepler et al. identified SDSS J124043.01+671034.68, a white dwarf with its outer layer of light elements stripped away, revealing a nearly pure layer of oxygen. Several different theories have predicted that the outer layer of a white dwarf can be stripped, but identification of ­­­ SDSS J124043.01+671034.68 provides the first evidence of this phenomenon. One possibility is that interactions with a nearby companion in a binary star caused SDSS J124043.01+671034.68 to bare its oxygen envelope. Another possibility is that a massive pulse of burning carbon from the center of the star, emulating outwards, eliminated the lighter elements.